Noun phrase. Plural belles laides (pronounced same). Early 20th century. An attractive though ugly woman. Belle laide was just too interesting a word to skip and, as much as we'd like to think we're above this superficial thinking, we've all met someone that we thought was unattractive (even ugly) but, for whatever reason, they somehow were attractive or became so over time. I had no idea there was a word for that. Is there a corresponding word for men? I've been told that men tend to be attracted to someone and then fall in love with them, whereas women fall in love and then grow attracted to the person. I couldn't find one, C. I googled a masculinised version of the term (beau laid) and it did return several relevant hits, but not from any standard dictionaries. 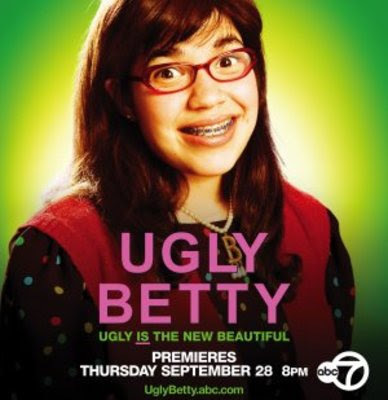 I've never heard of this, but it's quite like jolie laide, a woman whose conventional ugliness is in itself attractive. This concept is a source of hope to women everywhere. Yes, it is a bit like that - of jolie laide, the OED has as part of its definition a woman that is 'fascinatingly ugly', which is most bizarre. I did consider doing some deeper research into this, what the science is behind it, why there isn't an immediate male version of the French phrase, the depiction of the 'ugly but attractive' phenomenon in the media (such as Ugly Betty), etc, but in the end I decided to just drop this word and run!